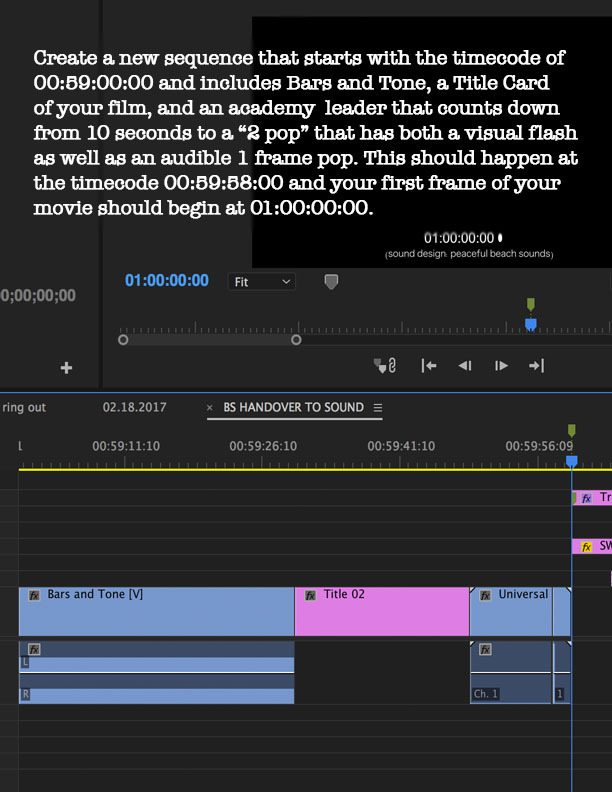 Check out this video to help you setup your session, prior to bouncing out either the OMF/AAF or Quicktime file. Choose an option like “Copy All Media” instead of “Consolidating”, this will allow for maximum sound handles. If consolidating is the only option, or original takes are very long include 1 minute of handles or (1440 frames at 23.976fps). Export Apple ProRes 422 Proxy Quicktime .mov file and “match source” to maintain the correct size and aspect ratio. If this is not possible, select a comparable option that has a “.mov wrapper”. Our preferred method is Google Drive for sending files, but if you use something like Dropbox, please make sure we can do a “direct download” otherwise we will not be able to “sync files”. Otherwise you are good to go, we will check the files on our end, and verify whether or not everything worked.